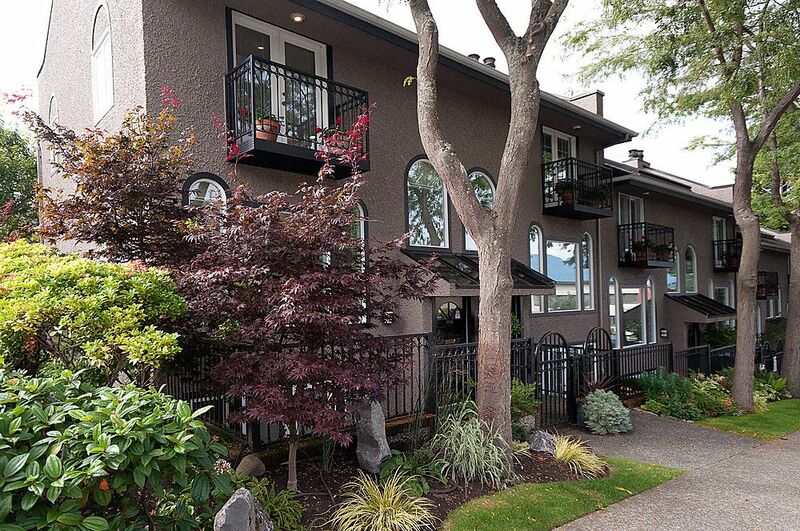 North of 4th, one block from Kits Beach, walk to everything! This bright, loft-style, end unit was completely renovated in 2008. Contemporary kitchen features teak, beech and bird's eye maple cabinetry, granite and engineered stonecounters, commercial dual-fuel range, and French doors leading to east and west facing private patios. Stunning spa-like bathroom with free-standing tub, frameless shower, and heated stone floors. Three bedrooms - 2nd bedroom with Juliet balcony - cozy top floor bedroom and vestibule with access to sunny ocean VIEW roof deck. Absolute top quality finishings throughout this beautiful home and perfect for entertaining. SOLD!